Christopher Torborg was sold on a career in the theater ever since he was cast as Ed Sullivan in a children’s production of Bye Bye Birdie as a 4-year-old. 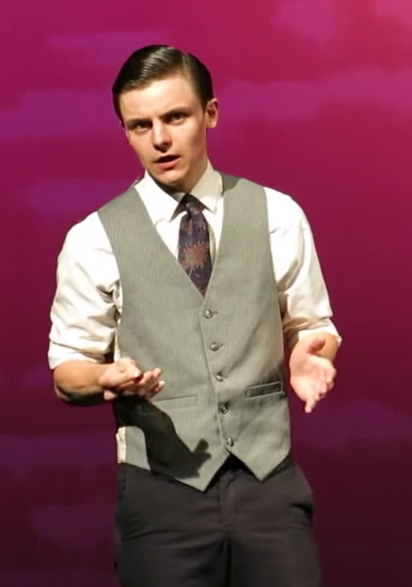 These days Torborg is a rising star at Grossmont College’s acclaimed Theatre Arts Department with plans on becoming a working actor in San Diego’s thriving theatre scene. He had a number of options when he came to choosing a school to hone his craft. The decision to attend Grossmont College, though, was a simple one. Torborg, 19, grew up in Tucson but moved here in 2011 while visiting relatives and touring Valhalla High School’s Theatre Arts Program, which has won a number of honors at the Musical Theatre Competitions of America, the National Youth Art Awards, and the California Center for the Arts. 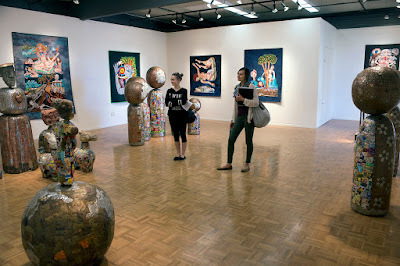 Grossmont College’s Hyde Gallery is presenting “Contemporary Crafts,” a two-person show that continues through March 3, featuring modern, vibrant quilts by artist Kathy Nida, and wood and metal sculptures of longtime San Diego artist and teacher James E. Watts. 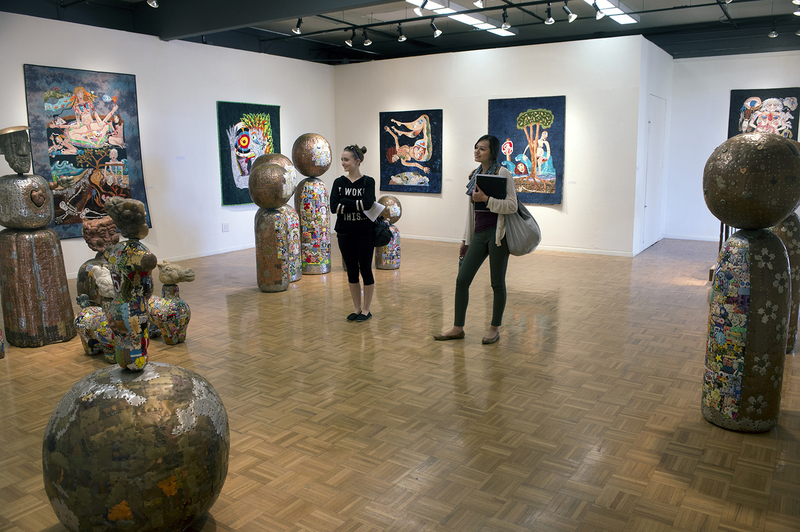 A free opening event for the exhibit curated by gallery director Prudence Horne is set for 5-7 p.m. Tuesday, Feb. 2, at the gallery. 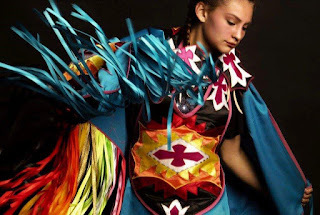 Coral Bradley may be only barely a teen-ager, but when it comes to expressing her Native American heritage through dance, she is a seasoned veteran. The eighth-grader at Roosevelt Middle School in San Diego has been dancing at powwows from the time she learned to walk, and she is a featured dancer at Cuyamaca College’s second Annual Powwow, set for 10:30 a.m.-8 p.m. Saturday, Feb. 6, in the front lawn of Building B, the Communication Arts Center. Brice Harris, chancellor of the California Community Colleges system, was honored at a Jan. 25 lunch at Grossmont College as he prepares to retire in April after three and a half years leading the state's community colleges. 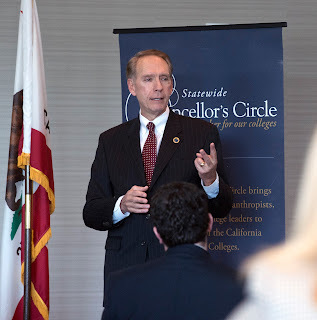 The statewide Chancellor's Circle luncheon included CEOs of community colleges in San Diego and Riverside counties, community college foundation leaders and board members, and staff from the Grossmont-Cuyamaca Community College District. The lunch, as described by Grossmont College President Nabil Abu-Ghazaleh, was a victory tour of sorts for the 113- college system's "advocate in chief." -- student success efforts to help students plan and complete the classes they need to fulfill their educational goals. -- an Associate Degree for Transfer program that guarantees students who fulfill requirements a transfer to a California State University school. -- a pilot program allowing 15 community colleges in the state to offer baccalaureate degrees in certain high-demand fields. "The system has some amazing success stories in the past three years," Harris said. Harris said California community colleges have been quietly and effectively innovative, seeking ways to prepare students for the workforce that are being emulated by other college systems across the country. "In California community colleges lies the hope of America's competitiveness," he said. 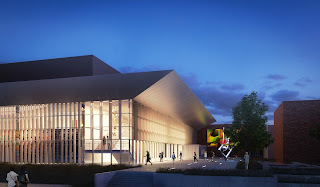 A rendering of Grossmont College's future theater, a Prop. V project. The Grossmont-Cuyamaca Community College District’s string of spotless audits remains unbroken, with the Governing Board this week receiving unblemished audit reports for the 12th year in a row. The five separate audits presented to the board cover the district’s general audit; the Foundation for Grossmont and Cuyamaca Colleges, the district’s auxiliary, and Propositions R and V, the construction bond funds approved by East County voters in 2002 and 2012, respectively. 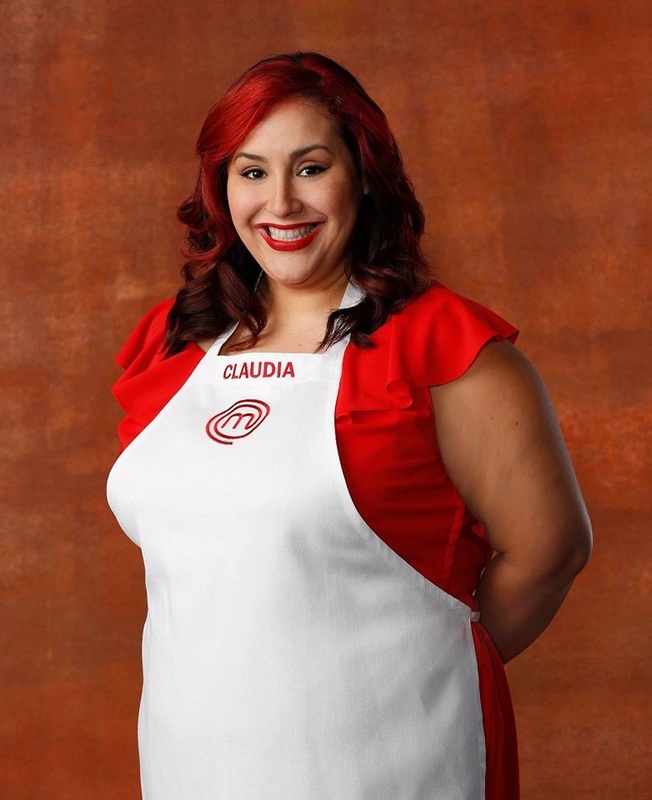 Claudia Sandoval has never been afraid to step outside of her comfort zone. When most of her friends at Sweetwater High School were heading to Southwestern College after graduation, she opted for Grossmont College. And when the accomplished cook whips up a traditional Mexican dish, she’s not afraid to experiment with the ingredients. That trait helped the Grossmont College graduate (Class of 2010) claim the title to the recent “MasterChef” Season 6 competition. Sandoval, who lives in La Mesa, said a friend urged her to audition for the cooking competition in 2014 upon hearing a September audition would be held in San Diego. After some hesitation, Sandoval completed an application and was later invited to take part in the audition. 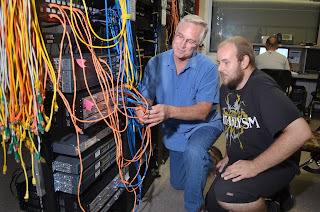 Cuyamaca's Cisco Networking Academy offers quick training. Neil Simon’s classic The Odd Couple and the musical farce Lucky Stiff are among the spring and summer productions set for Grossmont College’s Stagehouse Theatre. 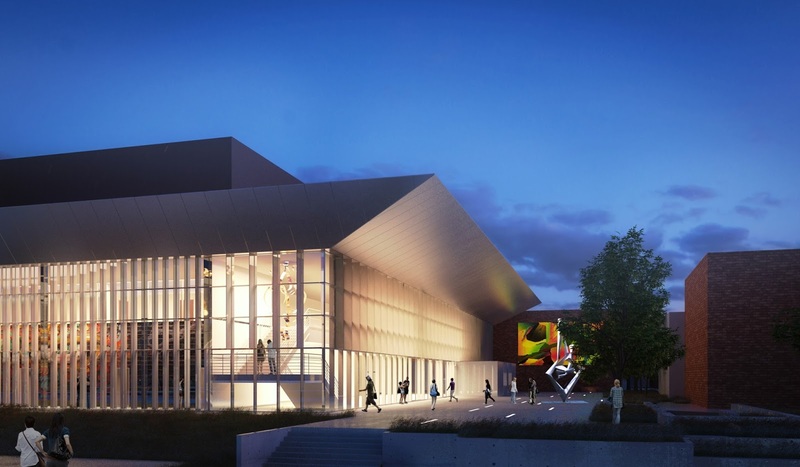 The new season opens with the Inside the Actor’s Process: Discovery, on Feb. 5 and 6. This presentation offers audiences at peek at the actor’s process of discovering their character by continually looking to the text with a fresh perspective. Watch as each reading and re-reading of the script has the potential to unlock new discoveries and new ways of bringing the story to life for an audience. Directed by Jerry Hager, Inside the Actor’s Process is an annual touring production that is performed at 15 San Diego County high schools beginning Jan. 25 to expose teens to the finer points of stage performance. The Feb. 5 and 6 shows are the only ones open to the general public. Show times are 7:30 p.m. on both nights, with a 2 p.m. matinee on Feb. 6.